Cahir Castle on the river Suir is located in the centre of the town of Cahir in Co Tipperary, Ireland. 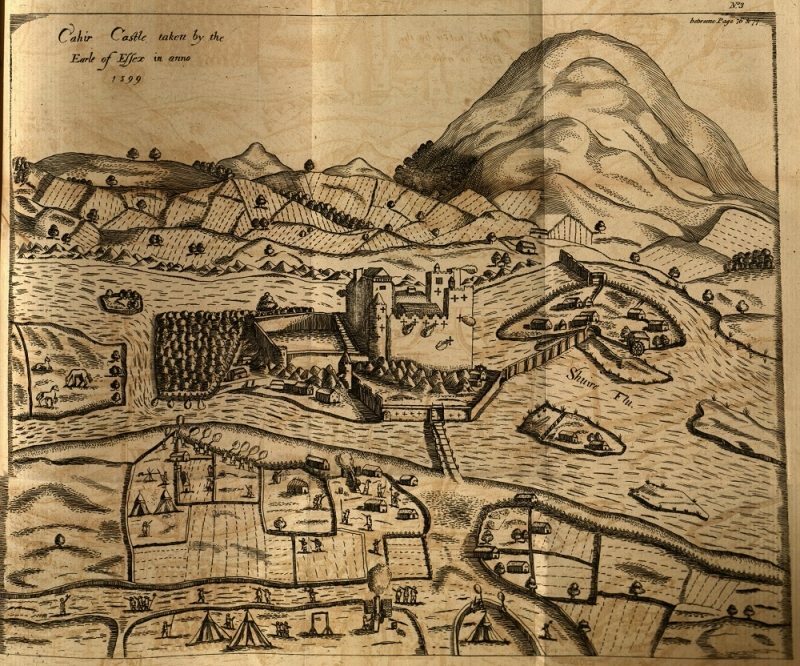 The name Cahir has changed over time, with the town originally called Cathair Dún Iascaigh in Irish which translates as 'fort of the fishery'. In many modern maps and other places it is often spelled Caher. 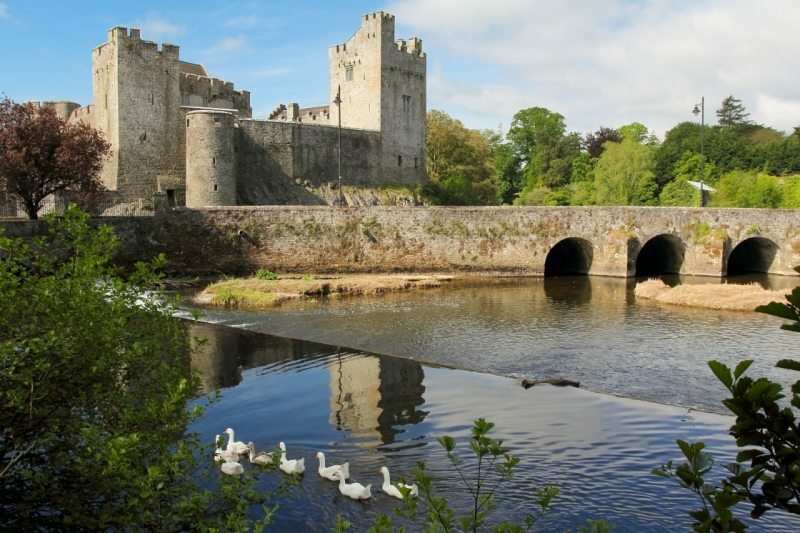 For thousands of years, Cahir has stood at an intersection of ancient trails crossing Ireland but its current history dates to the 12th century when Conor O'Brien built a fortification on an island in the river Suir due to its ideal defensive location. Then in 1375 Anglo-Norman Butler family, because of their loyalty to the English crown, took possession of the castle. The castle has a rich history and was surrendered on three occasions with one being to Oliver Cromwell.